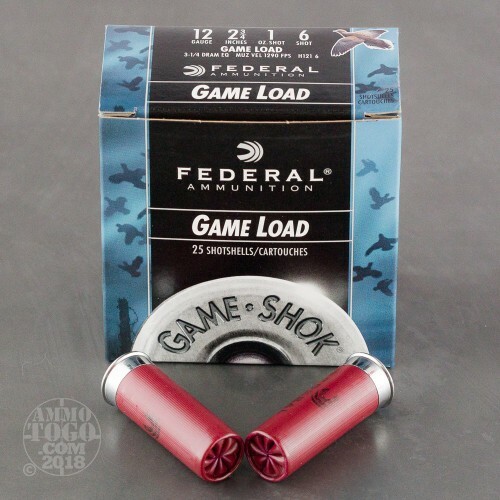 This 12 Gauge shell by Federal is just the ticket for upland game hunting. 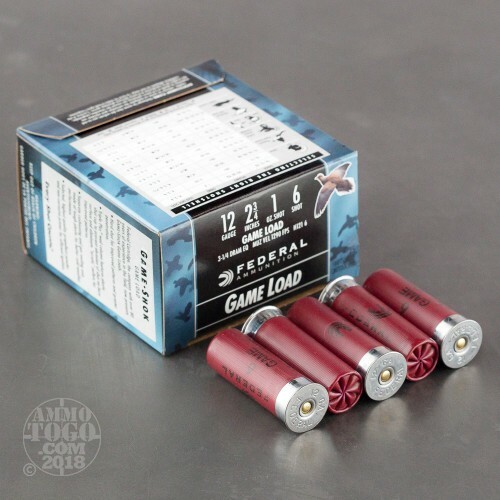 It’s loaded with one ounce of high quality lead #6 shot which is specially formulated for optimum hardness, improving its pattern efficiency. Its brass plated steel head and single piece wad both serve to improve its payload, and its non-corrosive primer reliably ignites its superior propellant. Whether you’re after grouse, pheasant, rabbit, or squirrel, with a muzzle velocity of 1,290 fps you’ll be guaranteed the firepower needed to make your mark. All you’ll have to bring to the table is your aim! 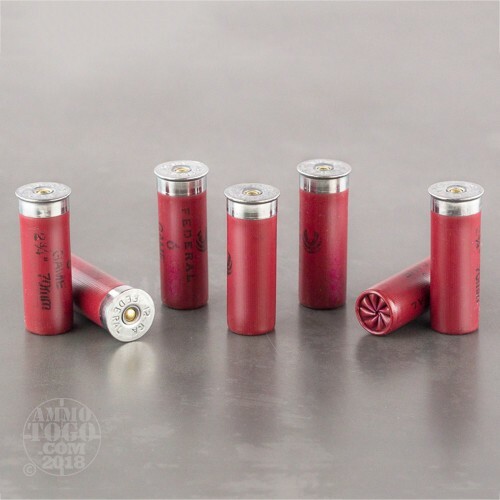 With 250 of these shells, you’ll have everything you need for ten games of trap or a protracted excursion into the woods. 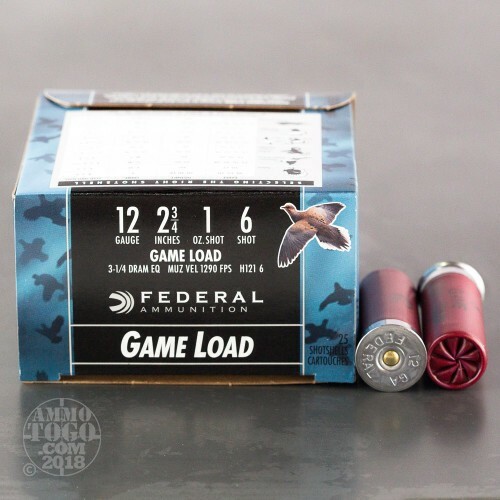 Federal is based in Anoka, Minnesota, where they have developed thousands of specialized types of ammunition to meet the diverse needs of hunters and recreational shooters everywhere. It’s hard to go wrong, siding with a company as devoted to their client base as Federal is.